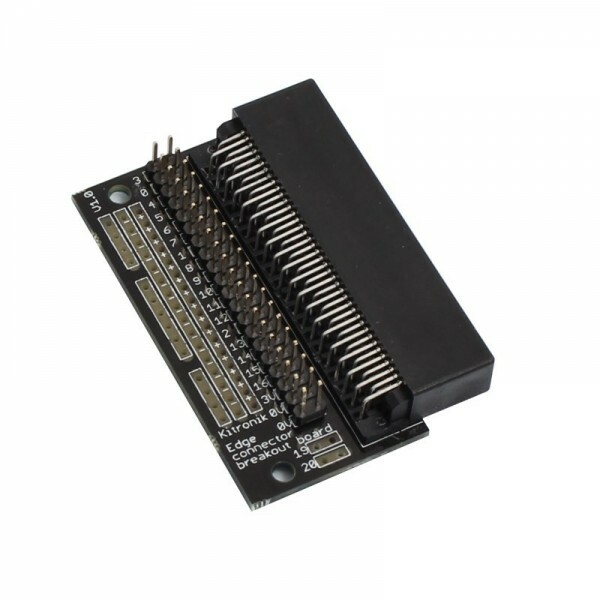 Produktinformationen "Edge Connector Breakout Board for BBC micro:bit"
This pre-built Edge Connector Breakout Board for the BBC micro:bit gives access to all the important pins on the bottom edge of the BBC micro:bit. Weiterführende Links zu "Edge Connector Breakout Board for BBC micro:bit"
Garantie(Jahre) "Edge Connector Breakout Board for BBC micro:bit"
Videos "Edge Connector Breakout Board for BBC micro:bit"
Weitere Info "Edge Connector Breakout Board for BBC micro:bit"
Note: This product is supplied with Straight Double Row PCB Pin Headers already soldered to the breakout board. Dimensions: Length: 60mm. Width: 40mm. Height: 11.8mm. 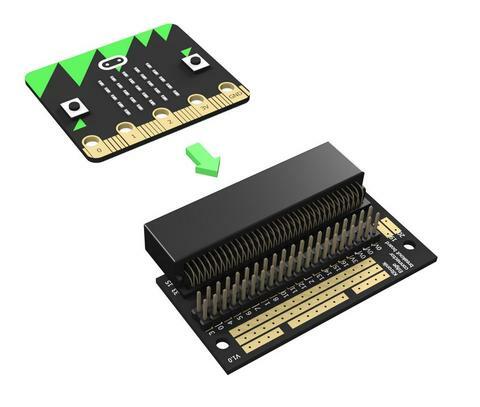 Kundenbewertungen für "Edge Connector Breakout Board for BBC micro:bit"